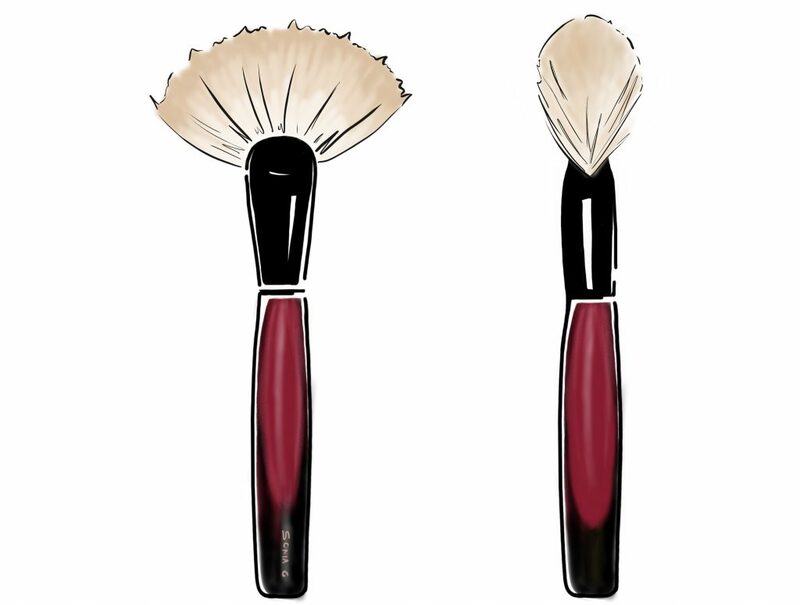 «Fan brushes always looked appealing to me; they make the makeup experience a lot more fun. Efficiency primes though so I was aiming for a fan brush that would not only look good and feel good but that could also achieve a high level of performance. Sometimes we don’t need a lot of precision but still want to structure our face, give it some dimension either with bronzer or highlighting/finishing powders, this shape allows an easy application along the jawline, the cheeks, the contours of our face or the decolleté. Use it also to blend and diffuse harsh lines.